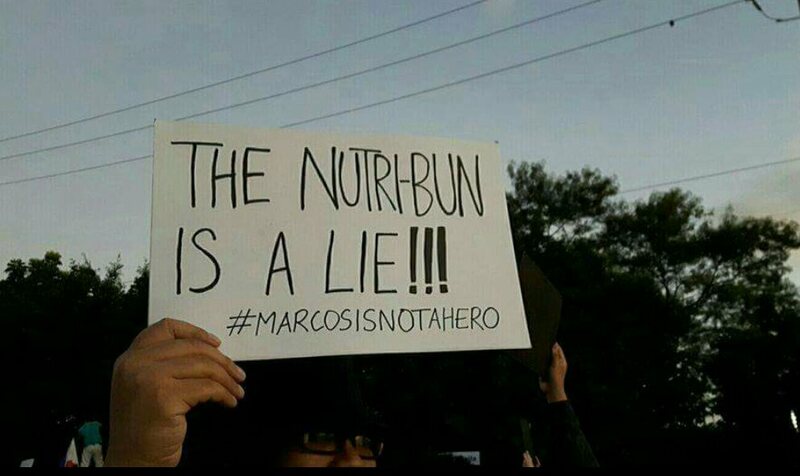 The "the nutribun is a lie" placard turns out to be an attempt to appropriate the meme "the cake is a lie" associated with the video game Portal. 1. Do not appropriate a very exclusive discourse that only gamers know and expect ordinary people to get it. 2. It is not the responsibility of the public to get your message. It is your responsibility to make them understand. After all, you are in a rally. Your placard is your way of exhorting the crowd. How can you exhort a crowd many of whom do not have any idea what you are talking about. 3. Memes are good if they are useful. Apparently, saying "the nutribun is a lie" doesn't make any sense for on its face it is a falsity.